PJ Harvey - 'Dry', 1992. Broadcaster and musician Elizabeth McQueen takes time out to muse on PJ Harvey's first record 'Dry' and how its bold female voice arrived with a bang in her suburban teenhood in the early 90s. Elizabeth and Gordon use the record as a springboard to discuss the many sides of Polly Harvey; the power of her band at the time; how this and her next record 'Rid Of Me' came into being; Riot Grrrl; and much more besides. Music played: PJ Harvey - 'Dress', 'Dry', 'Legs (Demo)'. 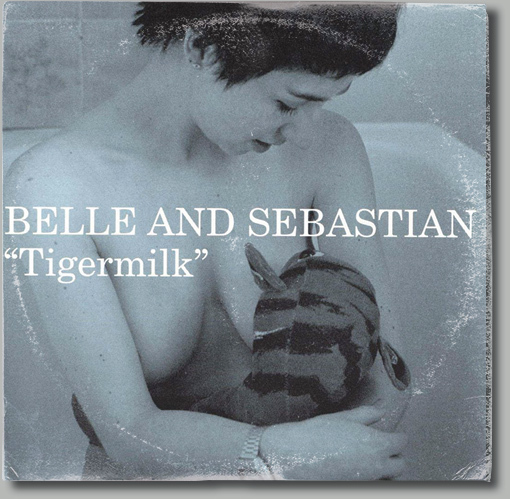 Belle & Sebastian - 'Tigermilk', 1996. Andrew Kenny, singer and multi-instrumentalist in American Analog Set and Wooden Birds, discusses Belle And Sebastian’s debut ‘Tigermilk’, from 1996. Initially pressed to just a thousand vinyl copies, this delightfully understated record became the blueprint for the band’s unique sound. Highly sought after and elusive at the time, the record was eventually given a full release by Jeepster in 1999. Kenny discusses how his very first tour became a quest to unearth this 'lost' record, and reflects on the routes of musical discovery to be found through sharing cassette tapes. Music played: Belle & Sebastian - 'Expectations', 'You're Just A Baby', 'We Rule The School', 'A Century Of Fakers', 'Mary Jo'.